Hello! It's been quite the last couple weeks, you guys. I've graduated college, had a wonderful weekend full of good food, drinks, and family, coordinated a move, continue to work on a blog redesign, and now I'm knee deep in boxes as I pack up my apartment. Where did the weekend go? I need to be out of my apartment by 11am tomorrow! Fingers crossed I make it happen. I'll take any moving tips/advice you've got. I've moved six times in the last four years and it's still a nightmare every time. So as all of this last minute craziness was happening, naturally, I decided to tackle a DIY instead of packing. 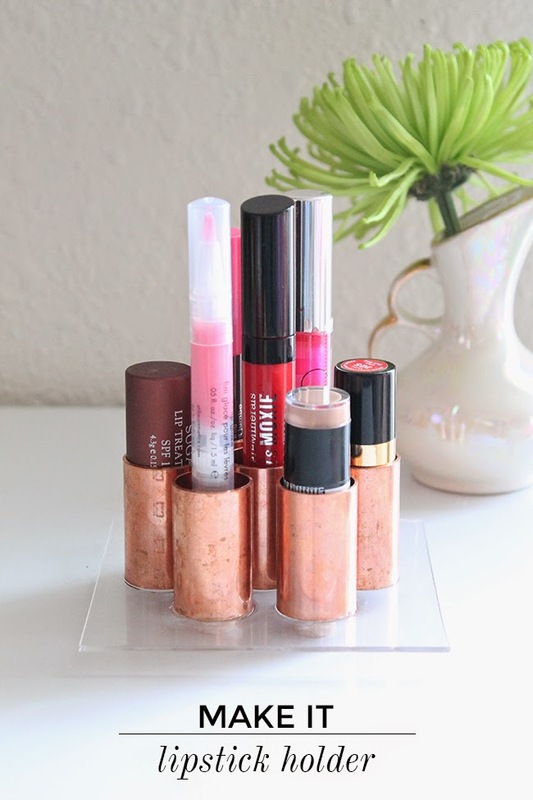 Luckily, the lipstick holder DIY was a breeze and turned out better than expected! Read on for the full tutorial. During Christmas time I saw this lipstick holder at Anthropologie and loved it, but it was backordered so I never ended up purchasing it. 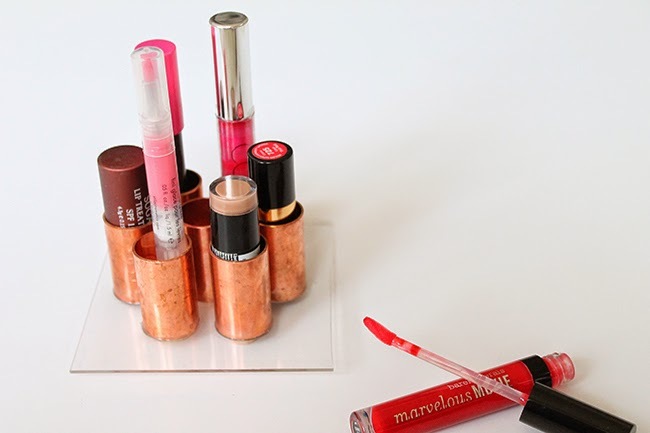 Then last week as I was brainstorming DIY project ideas and I remembered the lipstick holder and wanted to find a way to make my own. I took a trip to Lowe's and started wandering around the store looking for materials for a lipstick holder and here's what I came up with. Remove the price stickers on the copper tubes. I used a sharp knife to scrape off the sticker which worked really well. 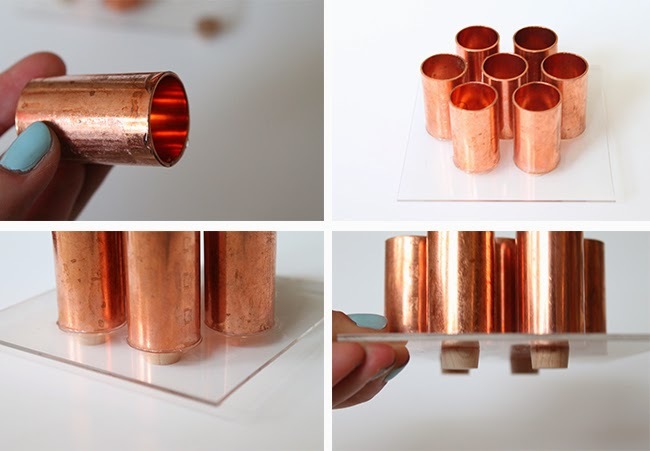 Arrange your copper tubes on your plexiglass square. Since I don't have an electric saw, I had Lowe's cut my sheet to the desire size. 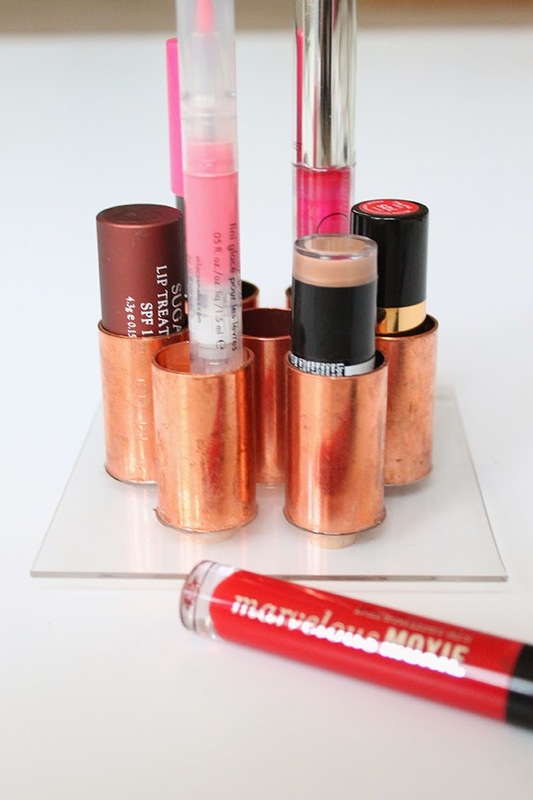 I decided to use 7 copper tubes, but you can use as many as you'd like! 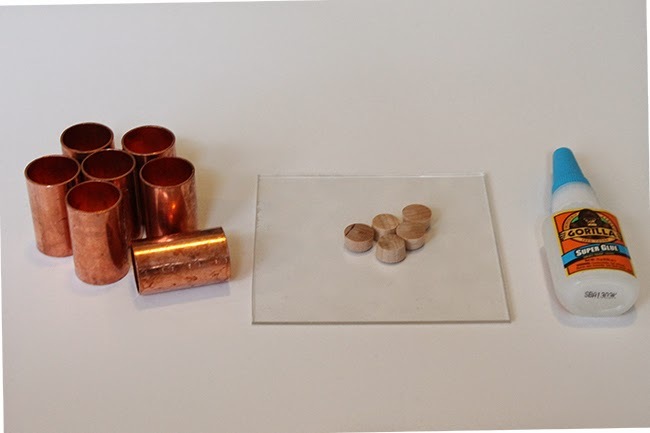 Glue your copper tubes to the plexiglass sheet. 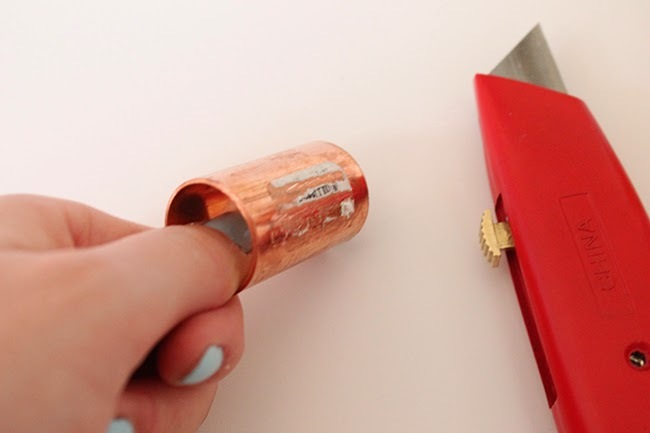 Dab a small amount of glue along the bottom of the copper tube and press on the plexiglass. After you glued all of the tubes, now it's time to glue the flat head plugs to the bottom of the plexiglass sheet. You don't have to add these if you don't want to, but I think it's nice to raise the plexiglass off the surface. I used four plugs and hid them on the underside of the copper tubes. 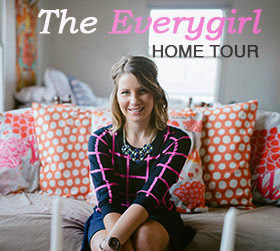 Another easy and beautiful DIY! 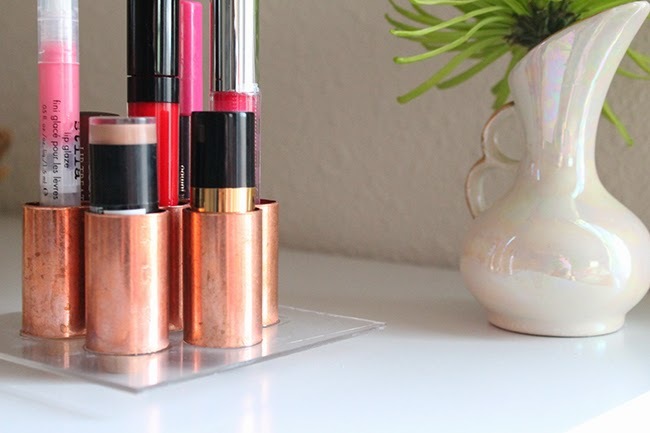 This lipstick holder will be so cute sitting on my vanity. I store my lipsticks and glosses out of sight, but then I forget to use them so I love the idea of having my favorites in sight. I LOVE THIS DIY!!! I need one ASAP. Another suggestion for a DIY--a ring holder to put by the kitchen and bathroom sink. Another Anthro hack?!? I actually just saw a cute ring holder I might have to try and make! This is so cool! I am always amazed at the totally creative ways that people recreate things they've seen. Really awesome idea! 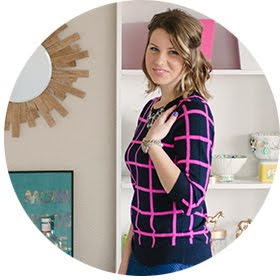 Iowa girl blogger, designer, stylist, and DIYer. Thanks for stopping by!